Carpenter ants can enter homes and businesses via wet or damaged wood, but they will also enter by way of cracks, holes, gaps, etc around windows, roof eaves and doors, creating paths through healthy wood if necessary causing extensive damage if they’re not dealt with. Although they do not sting, carpenter ants can inflict bites and they can also carry diseases from one area to another. 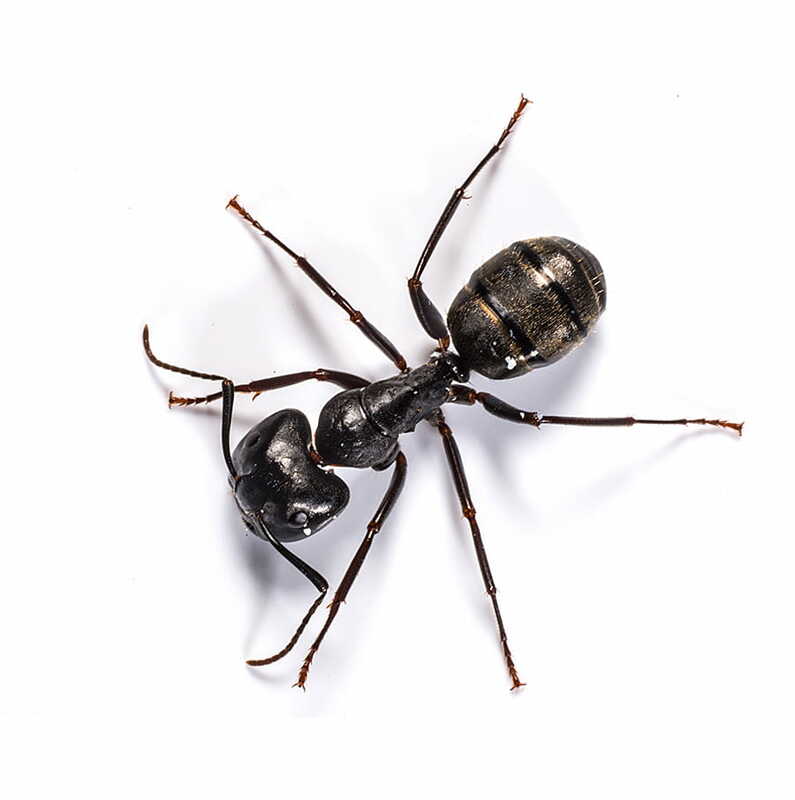 Carpenter ants range in size depending on their role–the worker carpenter ants are 3 mm to 13 mm in length while the queen may be more than 25 mm long. Most are black but can range from red to brown. A carpenter ant’s thorax is evenly rounded from the side, with a single node between the thorax and abdomen. Carpenter ants live in colonies that take several years to establish a stable colony. Within each colony is a queen that’s only role is to lay eggs, and worker ants that guard the nest, forage for food, care for the eggs and youngs, as well as build new nests to expand. Once a colony is established, the queen will begin to produce reproductive winged carpenter ants. After mating, the winged ants will leave the colony to establish new ones. An average colony contains 2,000 to 3,000 carpenter ants. A queen can live as long as 10 years, while the male worker ants only live for a few weeks since they die shortly after mating, and sterile female worker ants will live a few months to several years. Where am I most likely to find carpenter ants? Carpenter ants prefer damp areas and may construct their nests anywhere in properties including walls, ceilings, attics, doors, window sills, shingles and insulation. Are carpenter ants hazardous to humans? Yes. Since carpenter ants can carry diseases from one area to another; and although they do not sting, they can inflict bites. 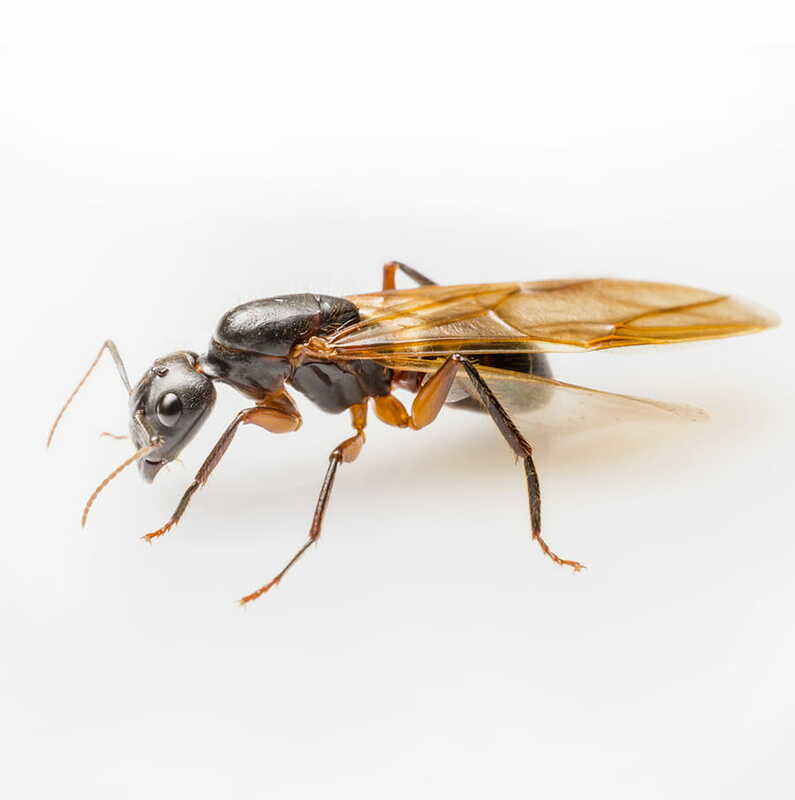 Do weather conditions affect the size of a carpenter ant infestation? Yes. Warm, damp conditions are ideal for carpenter ant colonies to establish themselves. How can I tell if I have a carpenter ant infestation on my property? There are many indicators to look for. 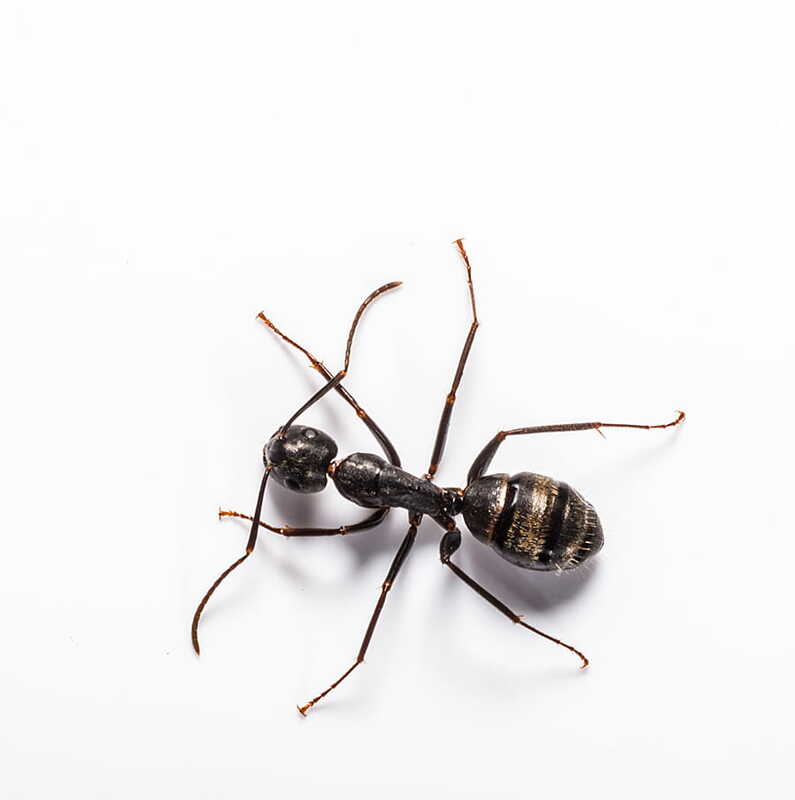 The presence of worker ants in your home is one of the first indications of a carpenter ant infestation. Check all areas where you suspect moisture. If chewed wood, like sawdust known as “frass” is located, it is an indication of an active nest. Flying ants in the home is also cause for concern and a professional in pest control should be consulted.